The Health Benefits of Alcohol | PrimeYours! I probably don’t need to expound the social benefits of alcohol for you. You already know that it makes you better looking and much wittier with each unit consumed! I’m sure that you also know that if you are in need of a quick sterilizer in the event of an emergency tracheotomy, a bottle of vodka will do in a pinch. But what do you know about the proven everyday health benefits of alcohol? Alcohol has been used medicinally since we discovered the wonder of fermentation. Now that we are in the age of the so-called “unbiased” scientific method, we need hard proof—numbers—to convince us that our drinking habits are good for more than a good fight or drunken romp in the back lane at closing time. Like any substance that alters the body’s chemical balance, alcohol can be seen as a drug or a medicine, depending on how it is used. No matter how many studies are released showing the beneficial effects of moderate alcohol consumption, some people are never going to be convinced that it is anything other than an evil elixir sent from the devil to make us do devilish things. And that is their right. But, if you are more apt to be open to the responsible use of alcohol as a way to encourage health benefits, read on. The most commonly cited plus to moderate alcohol consumption is its cardiovascular benefits. Studies performed around the world on both men and women have included the Nurses’ Health Study (on 85,709 female nurses over 12 years); Physicians’ Health Study (on 22,071 male physicians over 11 years); American Cancer Society (on 489,626 men and women over 9 years); Eastern France cohort (on 34,014 men and women over 10-15 years). These investigations represent a very small sample of the studies that have been performed, but all come up with similar results: all of the studies stated that moderate drinkers in the study (compared to non-drinkers) enjoyed a 30-40% reduction of cardiovascular disease. Specifically, there was a reduction in heart attacks, strokes, and angina. Moderate alcohol consumption helps the cardiovascular system in that it reduces your risk of ischemic strokes and heart attacks. This means that moderate drinkers are less likely to die from strokes and heart attacks caused by arteries that are blocked or narrowed by fatty deposits on the artery walls. Fatty deposits can slow the flow of blood and catch blood clots causing strokes. Studies have also shown that moderate alcohol consumption can also lower your risk of developing osteoporosis, Type 2 diabetes, gallstones, and developing Alzheimer’s or senile dementia in your twilight years. Moderate alcohol consumption also reduces your LDL (or “bad” cholesterol) levels in the blood, prevents blood clotting, reduces coronary artery spasm in response to stress, and may reduce blood pressure. These are the more commonly accepted benefits of alcohol according to the general medical community. 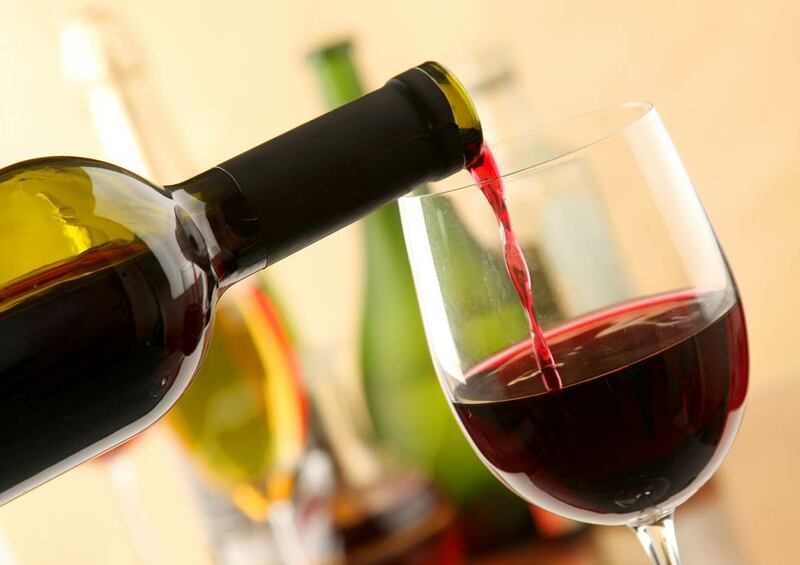 There are also studies that claim that moderate alcohol consumption appears to benefit or reduce these further diseases or conditions: bone fractures, digestive ailments, duodenal ulcer, erectile disfunction, hearing loss, hepatitis, kidney stones, liver disease, blindness caused by macular degeneration, Pancreatic cancer, Parkinson’s Disease, rheumatoid arthritis, stress, depression and type B gastritis. Some of these seem a little dubious to me, specifically liver disease, depression (alcohol is, after all, a depressant), and erectile dysfunction, but to each scientist, his or her own results. It should be noted here that there are some who insist that the health benefits of alcohol are wildly overstated and that no amount of alcohol is safe. As stated before, this is their opinion. But there are many, many reputable studies that have disproved their claims. Now that you have read the above good news, it is time for the mediating factors. Unfortunately, the research done in this field is not going to give you carte blanche to go ahead and drink your face off while spouting dubious health claims. There are some very important factors to consider when balancing the benefits versus the risks of booze. While the definition of “moderate” in these studies varies according to their geographical location, the North American definition of a “moderate drinker” for the purposes of study is: for women, 1 drink per day and for men, 2 drinks per day. In North America, one drink is defined as a 12-oz serving of beer, a 5-oz serving of wine, or 1 1/2 oz of hard liquor. Studies have shown that it is most beneficial to you drink your 1-2 drinks a day with a meal (I prefer breakfast!). This helps to reduce high levels of blood lipids (fats). People who do not drink every day, but instead “binge” drink, enjoying 4-5 drinks a couple of nights a week will not experience the same benefits as the moderate drinker described above. In fact, when you consume large amounts of alcohol in one sitting, the effect on your health are detrimental, contributing to heart disease and cancer. Studies have shown that the benefits of moderate alcohol consumption do not outweigh the risks until you hit about 40 years old, and benefits increase as you age. This statistic itself has several factors. For example, for a 30 year old man, because of their high number of drunk accident-related deaths, statistically, the risk of an alcohol-related accident outweighs the health benefits of drinking. Genetics and alcohol have interactions that we are still trying to figure out. We do know that if you have alcoholism in your family, then you may be genetically or environmentally predisposed to suffer from alcoholism as well. If this is the case, you might want to weigh that risk in your decisions about drinking and your lifestyle. Even though there are several health benefits to moderate alcohol consumption, there are some health risks that climb with the consumption of any alcohol, including breast cancer in women, colon cancer in men, oral cancers such as esophageal and mouth, gastrointestinal and liver cancer, pancreatitis, cirrhosis of the liver, and most commonly, injury or death due to alcohol-related accidents. Once you have all of the information on the possible benefits of moderate alcohol consumption, you can weigh them against your personal health concerns and your family health history. If you are much more apt to die from a stroke or heart attack than cancer, based on your family history, then you might want to look into the positive effects of alcohol, along with a general healthy lifestyle in order to ensure that your stay on this planet is long and worth living! Previous Previous post: Falling In Love: Twice As Nice? STDs: How They Can Affect More Than Just Your Love Life! Immunity Challenge: Are your shots up-to-date? Celebrity Bodies:Get That Hot Body You’ve Been Eyeing! Home Gyms for Small Places: Minimal Space? Maximum Workout!